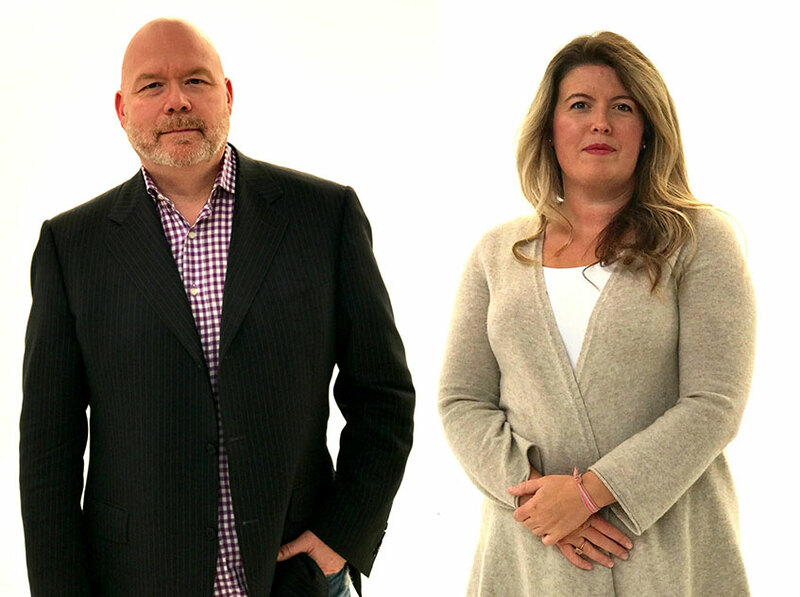 Canadian production veterans David Cranor and Gillian Marr have launched The Helm, a full-service commercial production company based in Toronto. Together, Cranor and Marr have a combined 35 years of international production experience, which the pair will leverage to offer adaptable solutions and an integrated approach to commercial and digital media projects. Cranor’s 20-year career as a Line Producer and Executive Producer began in the music video industry, where he produced videos for some of Canada’s most iconic bands. Since 2003, David has expertly straddled roles as an Executive and Line Producer at two prestigious production companies in Canada, Industry Films and Brown Entertainment, where he worked alongside and developed deep relationships with directors, creative directors, agency producers, and creative teams. Marr is an internationally reputable Line Producer and Executive Producer with over 15 years of experience. She’s produced more than 200 commercials in 17 different countries and over 40 North American cities. She brings to The Helm her expertise and passion for problem solving and client service. Her work has garnered international acclaim, with a number of spots going on to win Cannes Lions, the Marketing Awards, Applied Arts and London International Awards. As Executive Producers/Managing Directors, Cranor and Marr will offer a hands-on approach, personally line producing when needed, in addition to executive producing. The Helm represents a talented and versatile roster of award-winning directors from all over the globe, and has already completed work for Rogers, Freedom Mobile and SpinMaster. Director duo A+B (aka Sune Lykke Albinus and Mikkel Blaabjerg) have been creating striking naturalistic narratives focused on human connections since 2008. A+B’s work includes directing films for United Nations, Ikea, The Danish Government, Bosch and LEGO. This is the first time their talents have been available to the North America market. View A+B’s reel. After a brief stint in post, Trevor was recruited to be directing team HAPPY’s “third arm” at Smuggler, during which time, Happy was named among the top 25 commercial directors by Creativity magazine five years running. Since leaving Happy in 2008, Trevor’s body of solo work has won multiple gold Cannes Lions and includes work for clients such as Coca Cola, Nike, Google, McDonald’s, Visa, T-Mobile, Jeep, and Cadbury. View Trevor’s reel. Robin Hays in known for bringing projects to life with verve, humanity and a cinematic sensibility. Her work has been selected and showcased at festivals from Cannes to New York. She has worked with agencies such as McCannErickson, Havas Worldwide, Sid-Lee, john st., The Martin Agency, and BBDO. Robin has just completed her first feature film and her award-winning animated short film is garnering several festival award including Best Animation at Holly Shorts and Best Animated Short Film at the Omaha Film Festival. View Robin’s reel. Known as a well-respected actor’s director, Tim Abshire’s true talent lies in storytelling and developing characters, while seamlessly integrating them into the identity of each brand. In his career he’s worked with famous faces such as Drew Barrymore, Jeff Goldblum, Chris Rock, Derek Jeter and Dave Grohl. Tim started his career at MTV in the On-Air Promos department in New York City. Soon after, he jumped into commercials and has directed content for brands including Google, Jeep, ESPN, Walmart, PlayStation, Febreze, Volkswagen, Coca-Cola and JetBlue, with top agencies domestically and internationally, such as Grey Worldwide, Wieden+Kennedy, Ogilvy & Mather, davidandgoliath, and Leo Burnett. View Tim’s reel. Born in Thailand, raised in Belgrade, Paris, and the deep Upper East Side, Philip started work at 16 with Annie Leibovitz’s studio and graduated from Tisch School of the Arts’ film program. Philip has directed music videos and commercials for a wide range of artists and clients such as Beyoncé, Taylor Swift, Jay Z, John Mayer, Target, Samsung, Heineken, and the NFL. He has been nominated for numerous MVPA, VMA, and Clio awards, including MVPA Director of the Year. View Philip’s reel. As a director, Joe Schaak works with advertising agencies to create engaging work that strategically positions the client’s brand. Joe has more than 20 years of experience in content creation and production. In the time, he has directed more than 200 commercials for top brands, including McDonald’s, ESPN, Barq’s Root Beer, Nyquil, Verizon, and Kellogg’s that have won numerous awards including Clios, Addys, and Effies. Schaak has also worked with numerous celebrities including Donald Trump, Aaron Rodgers, Apolo Ohno, Shaquille O’Neal, Deion Sanders, and Britney Spears to name a few. View Joe’s reel. Tarik Karam is a filmmaker based in New York. After graduating from the American Film Institute, Tarik worked side by side with director Stephen Daldry, co-producing and Second Unit directing the Oscar nominated films Extremely Loud & Incredibly Close and The Reader. He has also has directed content for The New York Times, Johnson & Johnson, P&G, Fiat, and McDonald’s. His work has won Clio, D&AD, and One Show awards. View Tarik’s reel. Visual storytelling duo Paolo Borgato and Tommaso Berté teamed up while working in a production company in Milan. They made their debut in the advertising industry with a spot for “Save the Children,” which won them a CFP-E/Shots Young Directors Award in 2005. They were selected for the Saatchi & Saatchi’s New Directors Showcase in 2006. Before directing, the pair each worked as editors and producers. The duo have directed commercials for Bank of Montreal, Lamborghini, Volkswagen, Sony, Ikea and Fiat. View their reel. With an esthetic that’s inspired by his early days as a graffiti artist, New York City native Noah Paul is known for his poetic visuals and his ability to find the humanity in any project. Noah began his creative career as the Lead Designer for premiere Hollywood film title house, yU+Co, before joining NY culture magazine BULLETT as Design Director and Head of Film. As a commercial director, he has worked with clients including AT&T, PayPal, Lincoln Motors, Levi’s, and Nestlé. Noah was a 2013 finalist at the CFP-E/Shots Young Directors Awards and SHOOT’s New Directors Showcase and has been awarded Webby and Telly Awards. View Noah’s reel. Wayne Craig has been writing and directing for more than two decades and has won well over 100 honours – from a Lion at Cannes, to a campaign Clio, numerous Bessies and Marketing Awards. Wayne has worked with clients such as ABC Sports, Rock and Roll Hall of Fame, and NFL, and with celebrities such as Ray Charles, John Stamos, Bob Saget, and Carl Edwards. Outside of the ad world Wayne lives for family, fashion, inappropriate quotes from film and a ferocious sneaker collection. View Wayne’s reel.